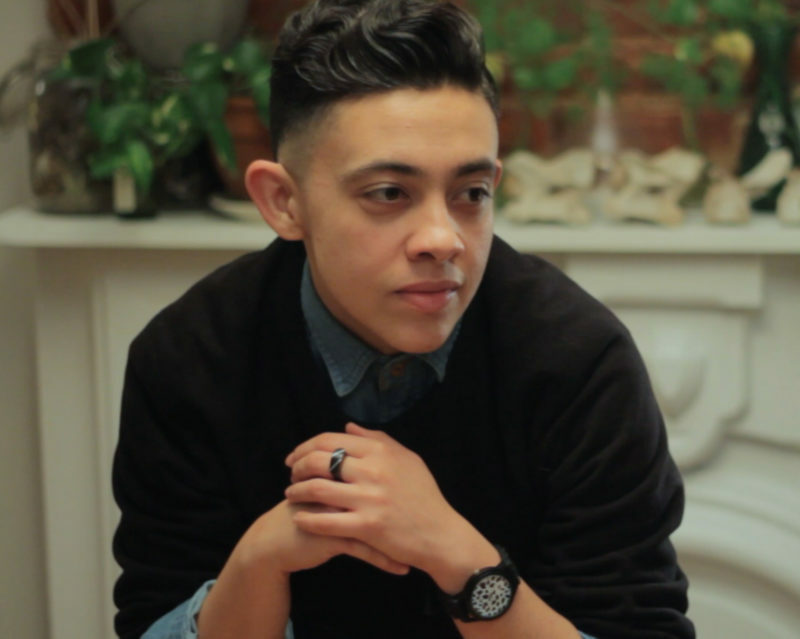 J. is a queer brown transgender interdisciplinary artist, writer, and arts organizer. He has curated and performed work for The National Queer Arts Festival, Links Hall, as well as Vox Populi among others nationally. His collaborative writing project, "Ya Presente Ayer" can be found in Support Networks, Chicago Social Practice History Series (University of Chicago Press). His organizing projects include the Latinx Artists Retreat (LXAR), which he recently launched with a group of Latinx artists and administrators and the Latinx Artist Visibility Award (LAVA) for Ox-Bow School of Art in partnership with The School of the Art Institute of Chicago. He is also a fellow of the National Association of Latino Arts and Cultures Advocacy Leadership Institute (ALI). His recent writing can be found in Original Plumbing and Apogee Journal: Queer History, Queer Now Folio.